When Harman and Ising left Warner Bros. , in 1933, they took with them all rights to the characters they had created. 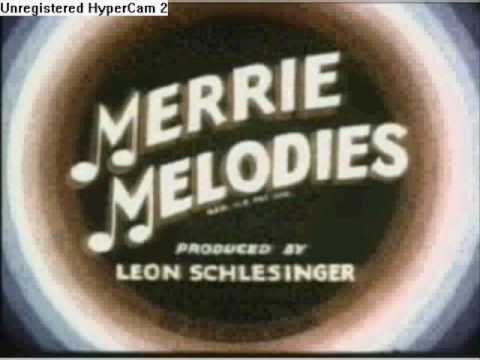 Leon Schlesinger had to negotiate with them to keep the rights to the name Merrie Melodies, as well as for the right to use the slogan, So Long Folks, at the end of the cartoons. 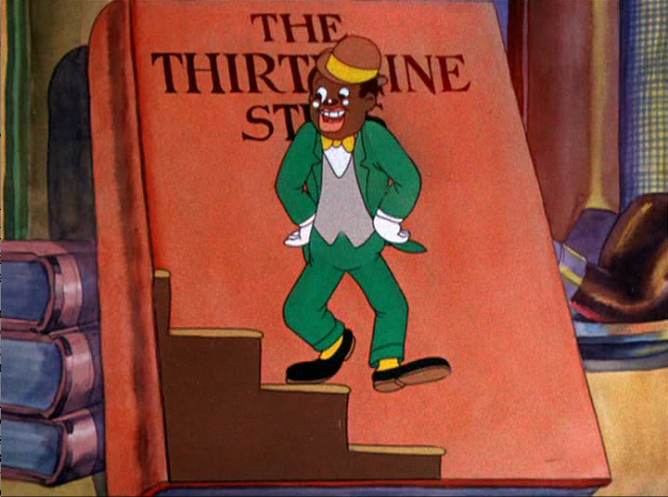 In 1934, Schlesinger produced his first color Merrie Melodies shorts, Honeymoon Hotel and Beauty and the Beast, which were produced in two-strip Cinecolor (Disney then had exclusive animation rights to the richer three-strip Technicolor process). 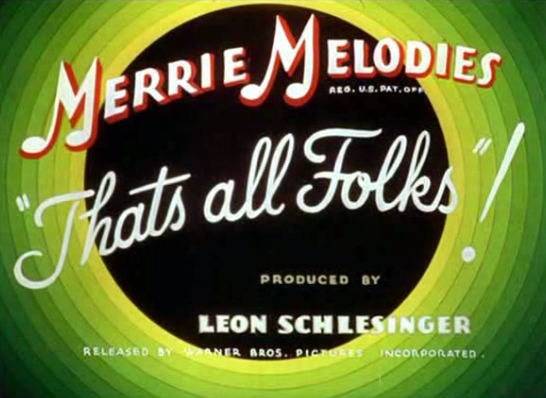 Their success convinced Schlesinger to produce all future Merrie Melodies shorts in color, using two-strip Technicolor. 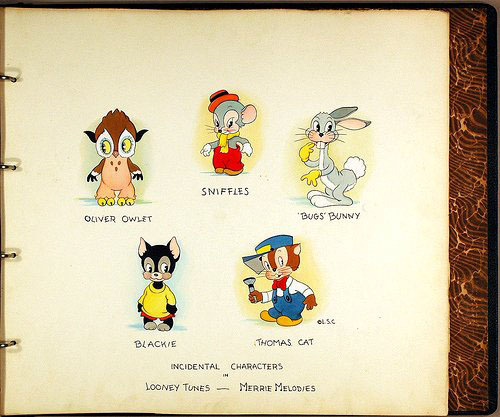 Looney Tunes continued in black and white until 1943. 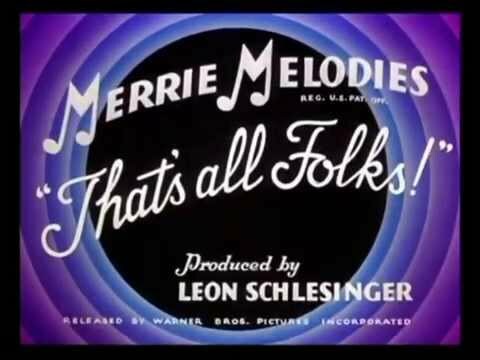 In 1936, the cartoons began to end with the slogan "That's all Folks!" which had previously only been used on the Looney Tunes series. The old slogan "So Long, Folks!" was completely abandoned at this time. 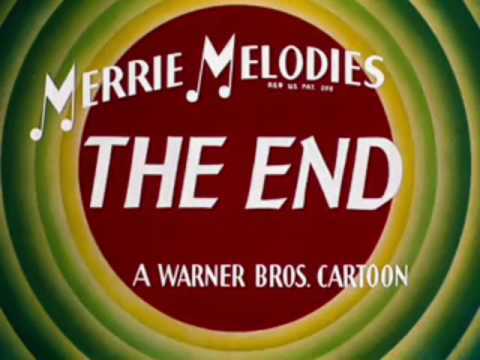 The same year, Merrie Melodies began using the bulls-eye opening and closing title sequences (in 1942, Looney Tunes would use the same titles, usually in thicker rings). 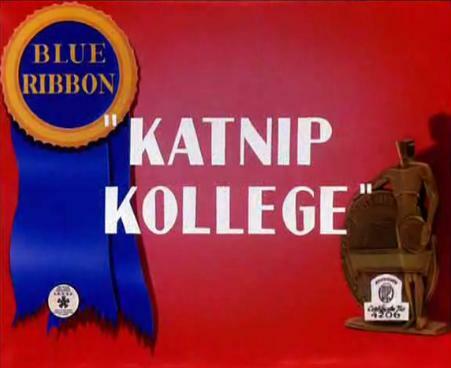 Also by 1936, Disney's exclusivity on the three-color Technicolor process was lifted, allowing Merrie Melodies a full color palette for the first time, hence the use of the blue concentric rings (as a technical test) for the rest of the 1935–36 season and the 1936–37 season. The Warner Bros. shield was later that year changed to cyan before definitely changing back to red in 1938.